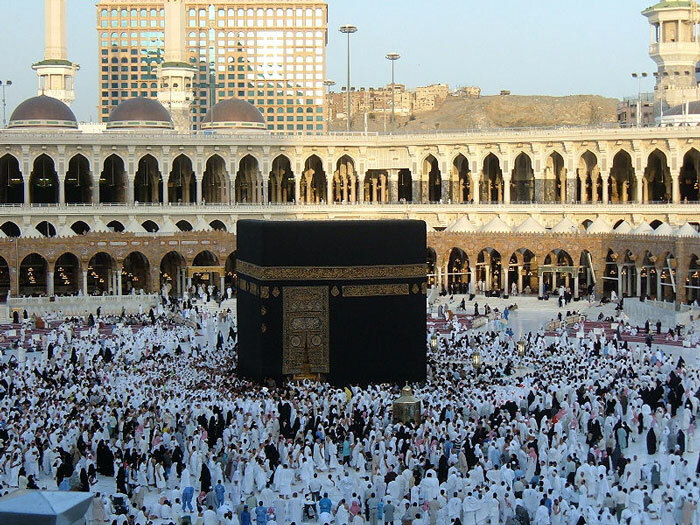 Hajj al-Qiran (Arabic: حج القران) involves combining Umrah and Hajj, with only one Niyyah and Ihram for both. A pilgrim who performs Hajj al-Qiran is called a Qarin. Those who live in Makkah cannot perform this type of Hajj. Enter into the state of Ihram at the Miqat with the intention of performing both Hajj and Umrah. Proceed to Makkah where you will begin the rites of Umrah. Upon reaching Makkah, perform Tawaf al-Qudum. Perform two Rakats of Salah at Maqam Ibrahim (if possible) and partake in the drinking of Zamzam water. After Tawaf, Sa’i can be performed immediately or it can be delayed until after the performance of Tawaf al-Ziyarah. Delaying the Sa’i is recommended. The performance of these rites will qualify as your Umrah. You must not perform Halq or Taqsir. You should remain in a state of Ihram between Umrah and Hajj and only relinquish it on Yawm al-Nahr. Read our detailed Umrah guide. You will go to Mina, Arafat and Muzdalifah where you will perform all the rites and actions of Hajj. An animal sacrifice is required for Hajj al-Qiran. Sacrificial animals are available in Mina and should be able to be arranged through your agent. Read our detailed Hajj guide.